Truly great movie trilogies are few and far between. Historically, it seems fairly straightforward to make a good film and a sequel that either equals, tops or slightly disappoints, but then the whole thing gets sullied by a dismal third film. I’ve done what I can to find trilogies where all three films stand up. I’ve also somewhat reluctantly ignored any franchises with more than three films in it, so I’m afraid Die Hard, Indy and Star Wars didn’t get a look in, even though in each case the first three films are quite clearly the greatest. Annoyingly this also meant I couldn’t use Resident Evil as the worst trilogy, ah well. Also, no loose trilogies, like Baz Luhrman’s Red Curtain trilogy or Park Chan-Wook’s Vengeance trilogy. Lewis Carroll’s Alice in Wonderland is already pretty mental, so when I read that this version by Czechoslovakian director Jan Svankmajer was “memorably bizarre,” I strapped myself in for a rollercoaster of ridiculousness, and I was not left wanting. A terrifying stuffed rabbit – animated via stop motion – bites through its restraints with eyes bulging like a cartoon, dons gloves, coat and a hat, checks its pocket watch and escaped through the drawer of a writing desk that is only a little bit like a raven. Oh, and the rabbit has ripped a gash in its chest that continually leaks sawdust like an open wound. The young Alice (Kristyna Kohoutova) follows the rabbit along a carpet of set squares and rulers and down an elevator past jars of drawing pins in chutney and various animal skulls with eyeballs. I won’t ruin all the insanity, though there is plenty here to suffice, but rest assured some of the regular Alice beats are present – the shrinking potion and growing cake, the caterpillar, the Mad Hatter’s tea party and the King and Queen of Heart’s, but the question begs to be asked that, if everything in between the main points has been dramatically changed, why not just make a different story altogether? Plus, it takes far too long for Alice to get to Wonderland (if that’s what they’re still calling it). Imagine if Frodo didn’t leave the Shire until near the end of the Two Towers, or Harry didn’t get to Hogwarts until two hours into the Philosopher’s Stone, yet the books remained the same. If I’d seen this as a child, chances are I’d still wake up screaming. From the burrowing inflatable sock-worms, the carnivorous animal skeletons reminiscent of Toy Story’s franken-toys, baguettes sprouting nails, living steaks, Alice crying enough to flood a room and a swimming rat hammering a campfire into Alice’s head, this is nightmarish to the highest degree. Also, who the hell is in charge of screwing on the doorknobs in this world, because they’re doing a terrible job. Based on a real test held at Stanford Prison in 1971, Oliver Hirschbiegel’s Das Experiment sees 20 volunteers placed in a 14-day research trial under 24-hour surveillance. Twelve of the men are given the role of prisoners, whilst the other eight are their guards. The prisoners are assigned three to a cell and forced to wear thin gowns, flimsy flip-flops and no underwear, whilst the guards have only one job: to ensure the prisoners obey the rules without resorting to violence. Among the prisoners is taxi driver Tarek (Run Lola Run’s Moritz Bleibtreu), a former reporter whose desperation for a story could lead to him pushing things a step too far. Predictably, not all goes to plan, and the film remains engrossing with the fascination at how far the test will go, how far out of control it will become and what those involved will resort to. At times quite violent, the film’s strength lies in the relationship between the three groups – prisoners, guards and scientists – and in the frantic style of the more action-filled scenes. Rather more naked men than I was expecting though. 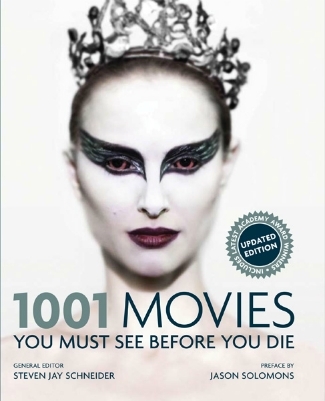 I discovered recently that, in the most recent edition of 1001 Movies You Must See Before You Die, not only had some films been added from the past 12 months (subsequently removing some of the films from the past few years, but mainly last year) but some films from earlier than last year had been added in, for example 2006’s Apocalypto, which was not in the 2011 edition, but is in the 2012. Outraged isn’t the word. It’s clear that the makers of the book were allowing themselves to benefit from the glorious gift of hindsight, allowing them to now know that Apocalypto is a much better film than the likes of An Education and Precious, but I got to thinking, what other films am I missing out on? It didn’t feel right to base my list on the randomness of the year I received the book. So after a quick Google I discovered this lovely little site, where you can find all of the films ever to appear on any of the lists, and so I’ve added the 54 missing films onto my pile, including those added for the latest book edition. Rest assured I’ll be doing the same thing for every new edition released, but I’ll try and keep within the time limit of five years. This should make January 2016 especially fun, as I’ll be finishing off the list as well as those films added only days before, but we’ll cross that bridge when we get to it. One quick note, I’m trying to cheat by pre-empting the list, as if I saw the films that have been added in the cinema or on DVD before they were put on the list, but only if I’ve posted a review, then I consider that film already crossed off, so the 2010 True Grit that is now present has already been crossed out, as the review can be found here. Here’s hoping that The Muppets, The Help, The Artist, Bill Cunningham New York and War Horse all appear next year! I don’t have much hope for The Woman In Black. New additions include films I know and love (Adaptation, The Host), some I’ve seen once but want a reason to watch again (The Social Network, In the Loop, the aforementionned Apocalypto), some I’ve never seen but feel I should (The Passion Of The Christ, The Queen) and some I’ve seen, but kind of hoped I wouldn’t ever have to watch again (Eyes Wide Shut, Babel). There’s also a few fairly random additions (Meet the Parents). The list now sits at 1382 films in total, so I should probably stop writing this and crack on. Based on Kathryn Stockett’s best-selling novel, The Help follows Emma Stone’s aspiring writer Skeeter as she returns home from college to Jackson, Mississippi (the opportunity to play some Johnny Cash is thankfully not missed). Whilst home, the free-thinking journalist discovers the maids that helped raise her, and the rest of their upper middle class society, are treated despicably – paid less than minimum wage with no social security, forced to use separate bathrooms and generally treated as sub-humans without the blink of an eye, so Skeeter sets out to tell their story to the world, helpfully with their assistance. As recently seen with Glory, it seems the only way Hollywood can show a story about black people is through the eyes of the white person who helped them on their way, without whom they’d be powerless and stuck as they were, and the popularity of the film, not to mention it’s numerous nominations at the Oscars, has been struck by a case of white guilt, as though not a bad picture, there isn’t really anything new here. The ground has been trod many times before, but few have used such a great multi-generational ensemble cast without a weak link amongst them. Stone is good in her first dramatic lead, showing potential but retaining her well-honed comic chops, but she is shadowed by the likes of Bryce Dallas Howard’s bitchy queen bee, Octavia Spencer’s outspoken piemaker Minny and Viola Davis’ cautious yet catalytic maid Aibileen. Spencer is good, but her Oscar should have gone to Jessica Chastain for her unrecognisably bubbly portrayal of ditzy Celia Foote, giving a performance that could so easily have been paper thin, but ends up stealing the show. Davis too didn’t deserve the Oscar everyone was so sure she’d receive, but the nomination is well placed. Allison Janney, Sissy Spacey and Mary Steenburgen help round out the cast, and all give natural, layered performances from even the most cliché characters. Whilst often resorting to shameless pulling of the heartstrings and occasionally implementing a chopped narrative that adds nothing to the overall result, this is elevated by the great cast offering tremendous performances. 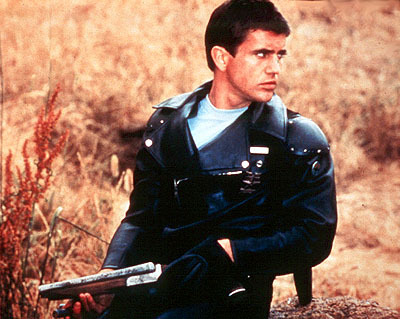 Essentially a glorified B-Movie, Mad Max saw Mel Gibson break out as live wire hero cop Max Rockatansky in a not too distant semi-dystopian Australian future. Other than Gibson, and sometimes including him, the acting and scenes are straight out of a direct-to-DVD movie – see Max sitting bolt upright in bed, a red light illuminating his haunted eyes, or his looking under a sheet at the hospital, so I wonder whether this is memorable more for the creation of the character, a Dirty Harry inspired ‘bronze’ who’ll nab his victims by whatever means, and for the supposedly superior sequel (watch this space). My main issue is that the character of Max is initially built up as being a kind of supercop brought in when no-one else will do, almost robotic in terms of getting the job done, and for the first scene, in which Max steps in to take out a cop killer and his girl when the rest of the force is lying in a heap of wrecked cars, this seems to fit, but for the next hour we see a completely different character, a family man in need of a break from his high stress job. It’s almost as though Gibson is playing twins. Annoyingly, it’s these more sentimental moments, making up the majority of the film, that prevent MM from being the guy’s night in classic it could well have become, for the scenes of brutality, chases and revenge have real potential. Another problem is that the film has no real message. The gang of the man Max killed at the start end up tracking Max and his family, yet not because he killed their cohort, simply because they run into each other. It could so very easily have been a vengeance plot, but for reasons unbeknownst to all, this was omitted in favour of fate and coincidence. 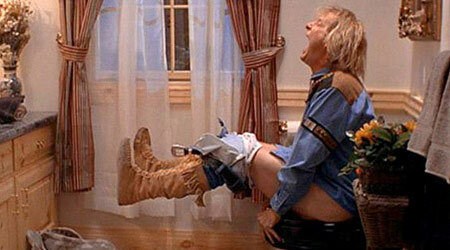 Let’s revel in some low brown humour for a change and look at cinema’s greatest toilet scenes. Not just bathrooms, so no Full Metal Jacket or Psycho I’m afraid, but those that specifically feature the porcelain throne. In an attempt to ruin his date, Lloyd (Jim Carrey) has given his pal Harry (Jeff Daniels) a heavy does of powerful laxatives. To top it off, Harry’s latrine of choice doesn’t have a working flush.